WHAT is a vlugen doughnut, you may ask? ;) They're for you vegan and gluten free foodies! 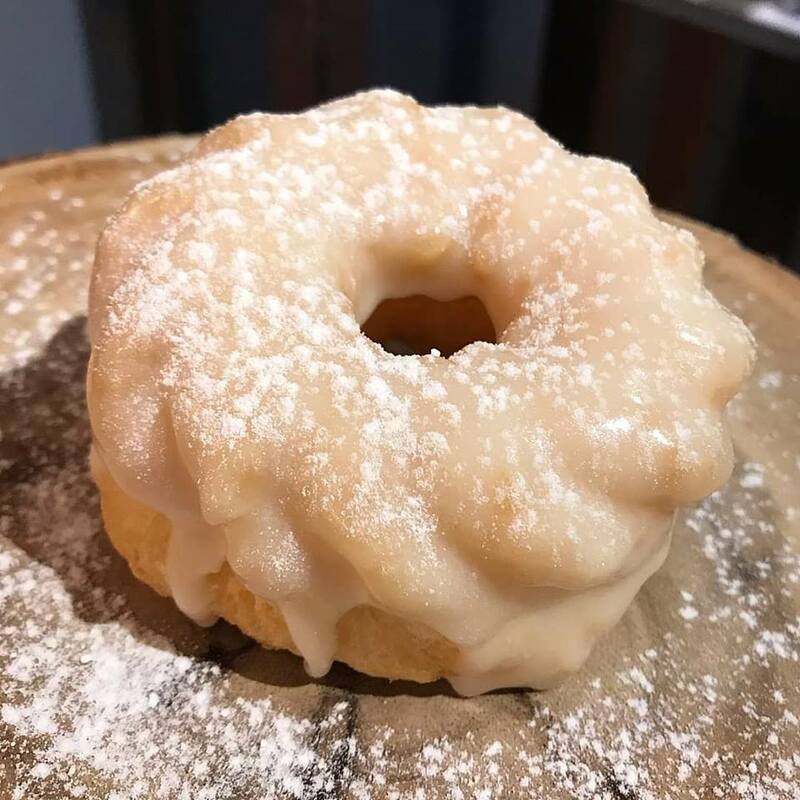 Enjoy Broad Street Dough Co. in Oakhurst's VEGAN and GLUTEN FREE doughnuts they have to offer! Try these old school classics or browse the extensive menu of Broad Street Dough Co.'s specialties for more great flavors. Also available in boxes of 6, 9 or 12. There are so many more doughnuts to choose from! More From Broad Street Dough Co. Catering from Broad Street Dough Co.
Our shop takes what we loved about the old-fashioned doughnuts we grew up with and makes them even more awesome. It’s an East meets West approach that brings you great doughnuts that are hot, fresh, and made to order! It all started when my husband began to suffer from acid reflux that grew worse whenever he snacked on his favorite doughnuts. I hit the kitchen and after a few batches I came up with a great doughnut recipe with only the best ingredients and voila! The Broad Street doughnut was born – with my husband as their first (and very willing) taste tester. Broad Street Dough Co. offers traditional, specialty, and even inside-out stuffed doughnuts, with every topping you could dream of from caramel to sprinkles and more – whatever makes your doughnut awesome. We also are proud of our “Vlugen” doughnut for all of you gluten-free and vegan broads. Stop by and try out one of our creations or make your own! We can’t wait to see you!